Narrative of The Life of Frederick Douglas, An American Slave was the 2nd book I read in 2010. A few weeks ago, I finished reading Black Boy, a biography of Richard Wright, who was a famous American author. Wright’s descriptions of how he educated himself inspired me, as although the circumstances of imprisonment differ from the struggle of racial oppression, I identified with the challenges Wright faced. When I was looking for another book on people who triumphed over adversity, I found the slim volume on Frederick Douglas, an American slave who escaped from slavery in Maryland to become a leader in Massachusetts. I read his autobiography because I wanted to learn more about the extraordinary life of a man who overcame the injustice of being born a slave, and went on to become a strong American voice who spoke about the horrors of slavery with eloquence and persuasion. Over the course of imprisonment, I’ve read many books on American history that described slavery, but this powerful autobiography by Frederick Douglas was the first book I read by a man who was born into slavery. He described the way slave owners whipped slaves, how they denied slaves the power of education, how they separated slaves from family bonds, all the while the slave owners fancied themselves good Christian people. Despite the oppressive rules that fettered his life, Frederick Douglas taught himself to read. He not only learned how to read sentences and paragraphs, but he also learned how to read people and events. That remarkable intelligence endowed him with the skills necessary to make his escape from slavery, and to lead his people as a powerful author and orator whose words still inspire, more than 100 years after his death. When I walk free from prison boundaries, I intend to build a career that contributes to society. I don’t know exactly what I will do, but I continue to train myself and to prepare for a career as a speaker, writer, teacher, and consultant. 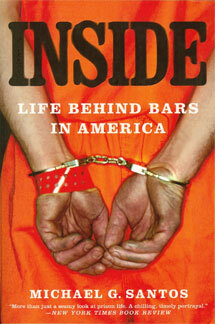 By using the experience of my imprisonment, and the lessons I’ve learned from others who faced struggle with dignity. I hope to inspire others to reach their highest potential. Narrative of The Life of Frederick Douglas, An American Slave gives me one more story to draw upon, confirming that with a strong mind, man can create meaning in his life.